SFHA comments on the first release of information from the Scottish House Condition Survey (SHCS) for the year January to December 2015. Today’s figures show that in 2015, 30.7% of households in Scotland were in fuel poverty, which is a decrease of about four percentage points compared to 2014. The amount of people living in extreme fuel poverty in 2015 was 8.3%, a decrease of about one percentage point compared to 2014. “We welcome today’s figures which show a slight improvement, but we need to build on this by increasing investment and setting minimum energy efficiency standards for all properties. 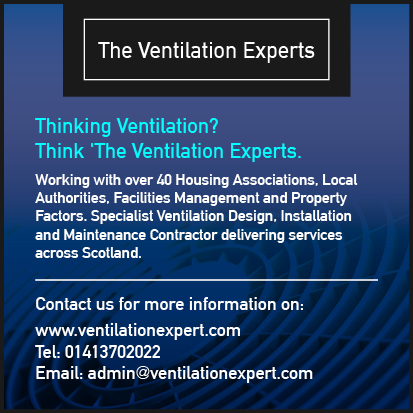 “Our members face a particular challenge in addressing fuel poverty as, while research published by the SFHA last year showed that housing associations and co-operatives have the most energy efficient homes in Scotland, their tenants have lower than average incomes. This means that while their homes cost less to heat, they are just as likely to be in fuel poverty, and so it is vital that associations are supported to continue to invest in the energy efficiency of their homes. “Today’s figures show that fuel poverty remains a major challenge. If we are serious about ending fuel poverty, then minimum standards need to be set to bring homes across all tenures, not just housing association and local authority properties, to an acceptable energy efficiency standard – this will make a real different to the lives of some of Scotland’s poorest people.